Our next pick in The 2018 PopCult Gift Guide is something that I’ve been writing about all year. MEGO action figures returned to retail shelves this year after more than thirty-five years in limbo, and you can find a lot of great gift ideas among these figures, which are exclusive to Target stores (until December 31). Revived by the company’s founder, Marty Abrams, these MEGO figures maintain the look and feel of the classic MEGO figures of the 1970s, but bring that format to a whole new series of pop culture classics. Much more recognizable than Funko Pops, these eight-inch tall action figures (DC comics heroes are fourteen inches tall) make great gifts for the fans of the respective shows, and it’s pretty easy to find the figures based on Happy Days, Cheers, The Facts of Life, Married with Children, I Dream of Jeannie, Bewitched, Charmed, Charlie’s Angels and Full House. Other cool figures, like those based on KISS, Star Trek and MEGO’s Monsters sell out very quick, but do occasionally pop up on the website. The only drawback to collecting the line is that, with sixty figures or sets of figures released in four months, many Target stores haven’t gotten the full assortment yet, and the most popular figures sell out very quickly on the website (but they do come back into stock, so if you want to check it obsessively, it can pay off). However, if you have a casual fan of any of the TV shows I mentioned a couple of paragraphs above, you might just have the perfect, low-priced gift (eight inch figures are fifteen bucks, but have been on sale for under ten bucks at times). The DC Comics Characters (some of which are a bit elusive) are great, big action figures that work as office decorations for adults, or great toys for kids. They sell for under twenty bucks each, with periodic sales kicking the price even lower. MEGO figures are great gift ideas for the person who likes having little artifacts of their favorite pop culture personalities, but thinks that Funko Pops all pretty much look alike. Available only at Target stores and online. Note that Target is offering free shipping now, so you’ll save on that, too. 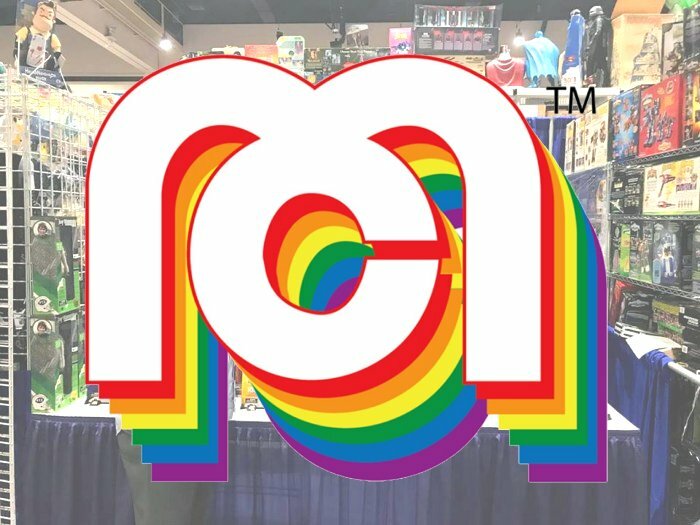 For much more detailed news and larger images, please visit MegoMuseum, where Brian Heiler has been doing a bang-up job posting the latest news on Marty Abrams presents MEGO for the last two days. He’s been updating the sight often, and is the major source for news on the return of this beloved brand.